What Are The Different Asbestos Jobs That Are Available To You? Asbestos is an extremely dangerous substance which can cause several health problems for the people who come into contact with it. The Asbestos can be present in homes, offices and other places such as shopping centres. It is important that buildings are inspected so that asbestos can be identified and then removed safely. New insulation material can be installed that meets safety guidelines. There is a wide range of jobs that are related to asbestos. What are they? When people suspect that there is asbestos in a building, they should not panic at all. Instead, they need to call a person who specialises in asbestos consultancy. This is a job that requires a lot of attention to detail because you will be carrying out detailed inspections of buildings. The work that you do in asbestos consultant jobs could potentially save lives, so you always need to be performing at maximum capacity without a single mistake to your name. Sometimes, the asbestos is easy to spot because it is visible inside the wall and ceiling cavities of the building. However, asbestos can sometimes be removed inefficiently, which means that a small amount of asbestos may have been obscured by the new insulating material. An asbestos consultant will also be equipped with specialist tools that allow them to detect particles of asbestos that are still lingering in the air after the material has been removed from the building. These microscopic particles can be breathed in by unsuspecting people. It is important that you are fully trained when you become a professional asbestos consultant. 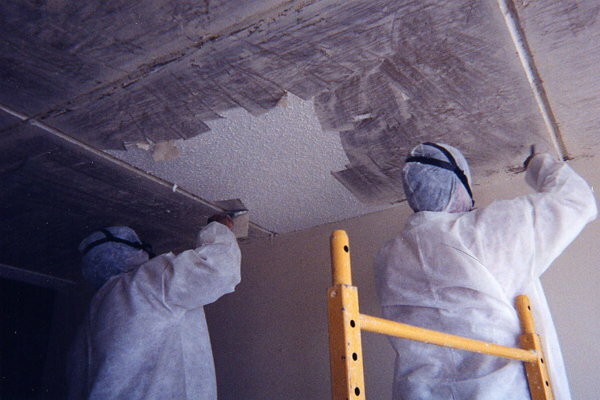 An asbestos consultant will work closely with other professionals in the asbestos field. This is a job where you will be constantly learning from other people, no matter how much experience you have. When asbestos has been located inside a building by an asbestos consultant, the next stage of the process needs to be put into action. Asbestos should never be removed by members of the general public. This is because they will not have the necessary training or the right kind of protective equipment that is needed. This is a job for an asbestos removal technician. Usually, the removal task is carried out by a team of people. The technicians all receive training about how to safely remove the asbestos, whilst minimising the chance that harmful particles are going to escape into the atmosphere and cause problems for the people inside. Asbestos removal technicians are also trained to deal with any potential hazards, such as asbestos becoming dislodged by accident during the removal. Asbestos needs to be removed from the building safely. The asbestos cannot simply be thrown into a landfill because this could cause people working at the site to become ill. The asbestos removal technicians will be taught how to dispose of the asbestos correctly. There are several exciting careers related to asbestos that you can choose from.